The principle objective of this report is to analysis Activities of Alico. Other objectives of this reports are to gather comprehensive knowledge on insurance activities, to identify the problem regarding product activities of ALICO and to make some recommendations to the problems regarding activities of American Life Insurance Company. Finlly this report make swot analysis activities of American Life Insurance Company. To gather comprehensive knowledge on insurance activities. To identify the problem regarding product activities of ALICO. To make some recommendations to the problems regarding activities of American Life Insurance Company. This report has been prepared on the basis of experience gathered during the period of internship. For preparing this report, I have also got information from annual report and website of the Alico’s. I have presented my experience and findings by using different chart and tables, which are presented in the analysis part. Relevant data for this report has been collected primarily by direct investigation of different records, papers, documents, and operational process and different. The interviews were administered by formal and informal discussion. No structured questionnaire has been used. Information regarding office activities of the insurance has been collected through consulting records and discussion. Face-to-face conversation with the respective officer and stuffs of the branch and head office. Face-to-face conversation with clients who visited the branch. Relevant field study as provided by the officer concern. Annual Report of American Life Insurance Company. Different manual published by ALICO. Different circular sent by head office. American Life Insurance Company (Alico Bangladesh) started full service branch operations in Bangladesh on 15 January 1974 and has since then been marketing individual and group life insurance products under the Insurance Act 1938, Insurance Rules 1958, and other applicable laws. Alico, incorporated in 1921 in Wilmington, Delaware, USA, is the largest international life insurance Company in the world. It is a member company of the American International Group (AIG) that operates life insurance businesses in more than 135 countries. American Life Insurance Company Bangladesh (referred to as the company hereafter) runs its business through its agency offices scattered mostly in big cities such as Dhaka (53), chittagong (19) and khulna (3). Over 9000 career agents are working for the company. The company has a trained and dedicated work force of 223 employees in Bangladesh. Net premium income received by the company from direct business in 1999 was Tk 1,896.75 million as against Tk 21.12 million in 1981. The figures include both new or first year premiums and renewal premiums derived from its various life insurance plans/schemes such as ordinary life policies, personal accident protection, group life, group medical, and ordinary term insurance. Re-insurance premium paid by the company to its re-insurer abroad was Tk 0.32 million in 1999, when it paid a net amount of commission of Tk 333.94 million. Net claims settled by the company during the year amounted to Tk 75.11 million. Apart from net premium income derived from direct life insurance business, the company earned Tk 514.81 million in 1999 as interest, dividend, and rent income. Major investments of the company were in short term deposits with banks, national investment bonds, Pratirakkha Sanchaya Patra, shares of companies, ICB-mutual funds, policy loans to holders, fixed deposits and permanent investment in real estate. The assets of the company were valued at Tk 5,900.27 million and the revenue surplus stood at Tk 1,042.29 million in the reference year. The regional office of the company at Sharjah, Dubai, oversees the administrative and business affairs of Alico Bangladesh. It invests its entire invest able surplus locally, mostly in government securities/banks and shares/stocks of companies, thereby allowing usage of its progressively increasing fund in such public interests as infrastructure development, industrialisation and employment generation. American Life Insurance Company (ALICO), incorporated in Delaware, USA, was founded in 1921. ALICO is one of the largest and most diversified international insurance companies in the world. ALICO branches and subsidiaries market a wide range of life and health insurance products around the world including Japan, throughout much of Europe, the Middle East, South Asia, Latin American and the Caribbean. 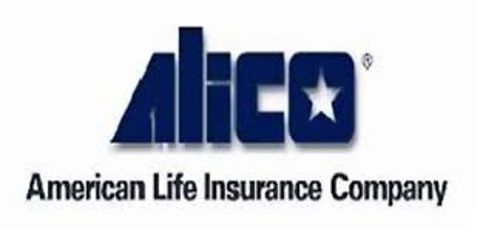 ALICO products include traditional life insurance, variable universal life insurance, supplemental medical and personal accident products, health and hospitalization insurance, group life, pensions and annuities. Alico is a big company these days, with quite a few years in the insurance service behind – roots go right back to 1921, in fact. But when Alico first opened our doors in Shanghai under the name Asia Life, it was a very small company with very big ideas. Started to help Chinese farmers improve their financial stability in the unstable farming industry of the time, ALICO is a business that has grown out of understanding the needs at the heart of a community. And helping people have a secure financial future, whatever their circumstance, is what has been built upon ever since. ALICO – and pride their selves on still operating at the hearts of local communities, even though nowadays they do it in 55 countries and are one of the largest providers of insurance services in the world. Over 35 million customers across the globe now trust us to look after the futures of their families. And they like to think that’s because they have never forgotten why their started. They still work hard to understand the needs of local communities as well as each of their customers. ALICO, or Asia Life, was started up in 1921 as the first company to offer life insurance to Chinese citizens. Since then they’ve come a long way, all the way round the world in fact, to reach 55 countries and 35 million customers. And they’ve been through turbulent times as well as times of economic growth – as have their customers and their finances. Through periods like the 1929 Great Depression and the Great Inflation of the 1970’s, ALICO forefathers developed a staying power and prudence that set in good stead, which is why the company that they are today is going to be around for a good few tomorrow’s as well – and policyholder’s interests will be as well looked after as they’ve ever been. Whatever aspect of their life they are looking to protect, Alico has a product that is right for all. Here’s a summary of the types of insurance products they offer. Simply select the category they are interested in and discover their range of products. One of the most important things they can do for the people they care about is to make sure they’re taken care of after they’re gone. The right protection will give them some peace of mind – and people family can relax in the knowledge that, should the worst happen, they will still have a home and the bills will still be paid. Good health is obviously vital – the way you feel is the basis for everything else in people life. So if something does go wrong, it makes sense to get the best care as fast as possible, which is exactly what they’ll get from their health insurance. They can also relax in the knowledge that the financial burden will be eased as any can take out protection on any loss of earnings. They offer different levels of care so any can choose the one that’s right for all. Their investment plans give the freedom to enjoy the future. Whether all need some money to put the kids through college, they want to pay off their mortgage early, or there’s a wedding they’ve got to pay for, ALICO can help finance the bigger things in life, and map out the future their really want. Having a serious accident or being unable to work due to disability is difficult enough, without the added financial stress of a potentially reduced income. A cash payout could help all and their loved ones meet everyday expenses, as well as pay for any treatment or specialist equipment that may be necessary. They’ll finally have the time to do all the things they always wanted to, when stop working. But they need to make sure that not only do they have the time, they have the money as well. And the earlier on in their life you take action, the better their return will be. That’s why they have an array of pension and savings products that can help provide a financially secure retirement for us and their loved ones, no matter what age they are now. When they go on holiday, the whole point is to relax. So the last thing want to spend their time doing is worrying about what problems could crop up. With our travel insurance, you’ll be covered for everything from illness to theft to flight problems. So even if their journey does hit a bump in the road, it’ll be back on track in no time. Not only can life insurance take care of family’s mortgage and help them maintain their current standard of living in the event of the death of partner, it can also safeguard more specific aspects of life. From protecting children’s education to looking after partner’s retirement, they’ve got a life insurance product that will help them take care of what’s most important to people. Guaranteed regular income to cover their child’s higher education expenses, Flexible plans to cover college terms of 3, 4 or 5 years, Excess return bonuses, One off or regular contributions – whichever suits their budget plans start from just $150 a month IBP Retirement. A guaranteed income for a more comfortable retirement.Guaranteed regular income from when they retire until the age of 99 Excess return Bonuses, Repayment guarantee in the unfortunate incident of your death before the time retirement is planned plans starting from just $150 a month IBP Savings, Regular savings with guaranteed benefits, for a secure tomorrow. A plan with the flexibility to invest to a target amount or by fixed regular premiums – whichever suits their budget. A savings option that offers guaranteed benefits – even during uncertain times Excess return bonuses. Plans starting from just $150 a month. Taking out health protection for people and their family also means they’re protecting their quality of life, ability to earn a living, and their family’s future. So they have a range of health insurance packages to ensure get the cover that suits them. Create the ideal protection against accident and sickness for people and their loved ones from a range of options. Lump sum payments, weekly accident disability income and medical expenses cash income for everyday spent in hospital. A guaranteed monthly income for life for customers or their loved ones in case of accidental death or disability. Free second medical opinion or case consultation from world renowned medical centers in the USA ‘Intuition’ option for women which covers female illnesses. Cover starts from just 55 cents a day. Forever protection that provides a lifetime income for consumer and their family in the event of disability plan that helps protect their income. Monthly payments to help pay for day to day expenses in the event of permanent partial or total disability. Guaranteed payments to customer and their family for a minimum of 20 years or the rest of their life. Essential daily support if customer or their family has to stay in hospital due to an accident or sickness. Daily amount to cover their expenses. Payable up to 365 days of hospitalization. Helps people meet expenses not covered by your health cover.Guaranteed issue: no medical exam. Unique health covers for women specialist Critical Care protection for women. A lump sum payment of up to $100,000 immediately on the diagnosis of any covered female illness. Covers expenses not provided for under traditional insurance free second opinion or case management consultation from world renowned medical centre in the USA. Financial support to care for your child, Covers accidents and illnesses. Up to $10,000 accident medical expense reimbursement. Up to $100,000 disability income and payments for expensive treatments. Optional weekly in-hospital allowance to meet incidental expenses. ALICO selection of savings products mean that they can take steps towards the lifestyle they really want today, as well as plan for the future really want tomorrow. A guaranteed income for a more comfortable retirement. Guaranteed regular income from when they retire until the age of 99, Excess return Bonuses repayment guarantee in the unfortunate incident of people death before the time retirement is planned plans starting from just $150 a month. Regular savings with guaranteed benefits, for a secure tomorrow. A plan with the flexibility to invest to a target amount or by fixed regular premiums – whichever suits their budget. A savings option that offers guaranteed benefits – even during uncertain times excess return bonuses plans starting from just $150 a month. Secure people child’s education. Give their children the best start in life guaranteed regular income to cover child’s higher education expenses. Flexible plans to cover college terms of 3, 4 or 5 years. Excess return bonuses one off or regular contribution – whichever suits their budget plans start from just $150 a month. A flexible plan providing life cover and investment opportunities. Investment plan with life cover up to $10 million. Maximum flexibility to vary benefits, premiums or protection facility to make partial withdrawals and loans opportunity to use maturity value to buy a life long pension generous loyalty bonuses 5 year no lapse guarantee. Make the most of life’s ups while protecting themselves from life’s downs protection and wealth accumulation in one flexible policy higher potential returns thanks to diverse investment opportunities. Accelerated payouts every five years guaranteed annual bonus high insurance protection up to $10 million. For those who seek control and financial independence. A product to create, accumulate and protect wealth, flexible, affordable plan with investment strategies to suit their appetite for risk switch strategies when customer want tailor their investments to meet their goals and time horizon. ALICO accident insurance products give one less thing to worry about, should the unthinkable happen. There are various options who can choose from to get the ideal level of cover for his and their family. Vital help for children in case of an accident, now and in their future. Covers the insured child for accidents anywhere, any time. Monthly ‘catastrophe cash’ of up to $120,000 for a guaranteed 10 years. Medical Reimbursement of up to $50,000 for specific injuries. Education allowance up to $12,000 p.a. in the event of death or disability of the policy holder, rendering them unable to pay schooling fees. Create the ideal protection against accident and sickness for them and their loved ones from a range of options. Lump sum payments, weekly accident disability income and medical expenses. A cash income for everyday spent in hospital. A guaranteed monthly income for life for them and their loved ones in case of accidental death or disability. Comprehensive accident covers for them and their family protection for their family from just 36 cents a day 24 hour cover anywhere in the world. A monthly income for their child for life if them and their spouse die due to an accident or are unable to work due to a permanent disability. Covers medical expenses, tuition fees and child care expenses discounts of up to 20% on single premium payments. Forever protection that provides a lifetime income for them and their family in the event of disability plan that helps they protect their income. Monthly payments to help pay for their day to day expenses in the event of permanent partial or total disability. Guaranteed payments to them and their family for a minimum of 20 years or the rest of their life cover starts from just 55 cents a day. Essential daily support if them and their family have to stay in hospital due to an accident or sickness daily amount to cover their expenses. Payable up to 365 days of hospitalization. Helps they meet expenses not covered by their health cover. Guaranteed issue: no medical exam cover starts from just 22 cents a day. Simple accident cover that provides comprehensive protection covers accidental death and loss of limbs pays six times the insured amount in the event of accidental death on a common carrier like an airline. Pays twice the insured amount in the even of death caused by a traffic accident. Guaranteed issue; no health questionnaire or medical exam. Three levels of cover plans from just AED 17 a month. Financial support to care for people child. Covers accidents and illnesses up to $10,000 accident medical expense reimbursement, up to $100,000 disability income and payments for expensive treatments optional weekly in-hospital allowance to meet incidental expenses. This is an agreement by the insurance company to keep the policy in force, even if the Cash Value becomes zero or less than zero, provided they have made a specific minimum contribution to the plan within the stipulated time frame. The no-lapse guarantees are usually for a specific period of time. A form of long-term investment, usually tax exempt, wherein regular or periodic contributions made by employers and employees are invested in a pool of funds set aside for the employee’s future retirement benefit. The capital and accrued interest will be paid at retirement either as a cash lump sum or in a form of annuities. Return of premium is a feature of certain policies whereby the policy holder is refunded, in part or in full, the premium that was paid during the lifetime of the policy on the date of maturity, if the covered risk does not materialize. Life insurance with level premiums which might be kept in force for a person’s whole life and which pays a benefit upon the person’s death, whenever that might be. Group insurance is an insurance that covers a group of people, usually who are the members of societies, employees of a common employer, or professionals in a common group. Group insurance may or may not be converted to individual coverage. As group insurance gets big business for an insurance company with minimum operational expenses (less than one master policy issued to an employer, union or any recognized group), it is usually less expensive than individual policies. Group coverage can help reduce the problem of adverse selection by creating a pool of people eligible to purchase insurance that belong to the group for reasons other than for the purposes of obtaining insurance. In other words, people belong to the group not because they possess some high-risk factor which makes them more apt to purchase insurance (thus increasing adverse selection); instead they are in the group for reasons unrelated to insurance, such as all working for a particular employer. A feature which is sometimes common in group insurance is that the premium cost on an individual basis may not be risk-based. Instead it is the same amount for all the insured persons in the group. So for example, in the United States, often all employees of an employer receiving health insurance coverage pay the same premium amount for the same coverage regardless of their age or other factors. Whereas under private individual health insurance coverage, different insured persons will pay different premium amounts for the same coverage based on their age, location, pre-existing conditions, etc. Another distinctive feature is that under group coverage, a member of the group is generally eligible to purchase or renew coverage all whilst he or she is a member of the group subject to certain conditions. Again, using health coverage as an example, under group insurance a person will normally remain covered as long as he or she continues to work for a certain employer and pays their insurance premiums whereas under individual coverage, the insurance company often has the right to non-renew a person’s individual health insurance policy when the policy is up for renewal. ALICO had certainly want to maintain the standard of living they have worked hard to achieve, to avoid finding their self in need to make painful compromises, to maintain their independence, and to enjoy all things expected in this new stage of their life. If they plan today, they can realize their dreams and have a sense of security about the future with the guaranteed ALICO Pension plan! Guaranteed benefits for their own peace of mind “ALICO Pension” plan offers a sense of security and peace of mind so that they can enjoy their retirement years! So, they may now start working creatively for their own personal benefit and for the benefit of the people love, who need their support. Choose the level of pension you wish to get at the age of 55, 60 or 65. Now people can get a guaranteed pension, which will meet all their future financial needs. In co-operation with their ALICO Insurance Agent, can set the level of Pension they wish to get and specify the time when they wish to receive it. By tailoring the “ALICO Pension” guaranteed pension plan to their own requirements, they will be able to accumulate substantial savings that will help face the future with optimism, and feel confident and able to meet life’s challenges throughout their retirement years. Option to choose between: Lump-sum or a monthly pension for life Under ALICO Pension plan, choose the way in which they’ll receive the capital amount that has been accumulated over the period of time specified by them. Depending on their needs, may opt for a substantial lump-sum or a good monthly pension for life or even a combination of both, whatever is best for all. With “ALICO Pension” plan can make sure they will find the peace of mind they are looking for. The premiums they pay will remain fixed throughout the duration of the plan and will be calculated according to the level of monthly Pension or lump-sum you wish to receive, as well as the age at which retire. Moreover, they have the flexibility of deciding how the premium will be paid, i.e. monthly, quarterly, half-yearly or annually. In this way, you’ll be able to properly plan finances. Moreover, “ALICO Pension” plan can be paid with Single Premium. By making premium payments every year, the Mathematical Reserves of your Policy are accumulated. “ALICO Pension” plan offers the maximum guaranteed return of 3.35% (technical interest rate) provided for under Greek legislation for the investment of the Mathematical Reserves of your Policy. Thus, the Benefits (Capital/Pension) you choose are guaranteed. Additionally, they will also be getting an Interest Benefit when the investment performance of the Mathematical Reserves of their policy exceeds 3.35%. With its extensive know-how and unsurpassed financial standing, ALICO can achieve much higher returns for customer by investing the Mathematical Reserves, derived from all of its insurance policyholders, in long-term low risk securities (Greek and European Bonds). And this because the “ALICO Pension” plan gives the opportunity of participating in the Proceeds of the Interest Benefit. So you gain twice as much and ensure that your savings will have the returns planned, depending on the duration of plan (e.g. 10, 20 or 30 years) and the amount of premium paid by customer. Of course, the greater the premiums paid, the benefits will be available to consumer and thus when their policy expires they will be eligible to a higher lump-sum or an exceptionally attractive monthly pension for life. ALICO provides for the actual insurance protection of its insured. For that reason, Insurance Agent – when planning their retirement plan – will suggest that they make provisions for a future situation in which an unforeseen event (illness or accident) may not allow to work, and they may therefore not be able to make regular premium payments. With a small extra fee customer can secure a “Waiver of Premium” benefit so that in the event that they happen to be out of work for more than six months (because of an illness or accident), ALICO will undertake to pay they premium, enabling thus their plan to continue and, in essence, protect their savings for the period out of work. In order to have a more comprehensive insurance cover, Insurance Agent will also suggest that take out a Term Life Insurance for the first 10, 15 or 20 years of “ALICO Pension” policy, something that has an exceptionally low cost and significant benefits. For example, if a 30-year old man opts for a Life Insurance of €30,000 over a period of 10 years, the additional premium to be paid will be just €5.20 per month. In this case, ALICO will also give, you an exclusive right: to convert the Term Life Insurance into Savings insurance (Endowment or Whole Life) at least 3 years before it ends without a medical examination. These plans aim to build a capital for each employee’s retirement and this is achieved through regular defined contributions and their effective long-term investment. These plans aim to build a retirement capital which shall ensure a pre-defined benefit (paid in a lump-sum or as a pension), based on the number of years of service and the employee’s level of earnings. These policies protect one’s standard of living by achieving particular objectives with regard to the employee’s total pension income at retirement. These are designed especially to provide incentives and give a company a strategic advantage. These programs help organize and implement company policies for attractive early retirement packages. These are investment choices for the company and the employee. They are based on a combination of investment portfolios and on special investment strategies. They represent an international trend reflecting contemporary views on managing and allocating responsibility towards covering the needs of employees. These are organized by ALICO AIG Life with the help of the company and are exclusively financed by employees. They manage contributions, benefits and investments, as well as take care of the communication needs of collective programs organized in the form of Auxiliary Funds, Occupational Insurance Funds or Mutual Help Funds. Benefits designed based on an analysis of the group’s needs. Clear and transparent policy terms. Extensive Quality Plan communication to Employers and members. Regular, information to Employers and members through the Internet. Prompt payment of benefits (5 working days). Multiple high-performing investment options offered both, to the employer and the members. ALICO understand that making a claim can be distressing at a time when they have a lot on their mind. So they’ve tried to make the process as straightforward as possible with this step-by-step guide. If they wish to notify us on the death of an insured person, please refer to the death claim in point 2 below for details on notification procedure. Send all the documents related to their claim to us within 30 calendar days from the date recover. Select the claim type below to find which documents are required to support claim. Sickness or Accident and they hold a policy with Surgical, Accident, Medical Reimbursement, Medical Expenses Coverage. A detailed medical report. This must be completed and signed by them and their treating physician. The original hospital bill and emergency ambulance bill (if applicable), original hospital receipt, (This is the proof of payment based on the bill issued). A copy of customer medical report detailing their ailment or accident and the date it started/happened. A copy of all relevant X-Rays / Echography / MRIs and reports. These should show their name and the date they were taken. A copy of all lab tests and reports related to this incident. A copy of the Police Report (if claim relates to an accident). A copy of passport showing dates of exit and entry (if the incident occurred outside country of residence). Accident and anybody hold a policy with Accident Income or Weekly Income Coverage. A Detailed medical report (Preliminary Report) should be provided with claim notification, only if disability is expected to surpass 6 weeks. Claim form CL-2 (Final Proof of Loss) should follow the detail medical report at the end of disability period or should be provided if their disability period is not to exceed 6 weeks. Please ensure that the dates used in CL-2 form reflect the actual period in question as it will not be possible, under any circumstances, to extend the disability period beyond this date. Claim form CL-3 (Employer’s Statement) to be submitted at the end of the disability period. Tuition Benefit). A copy of the Police Report (if applicable). A copy of your Attending Physician’s Statement (APS) or the medical report detailing the nature and date of the accident. A copy of your passport showing dates of exit and entry (if the incident occurred outside your country of residence). Permanent Disability – Total or Partial Claim form 321 (Claimant statement) and 322 (Physician statement) (for Total disability) or CL-20(for Partial disability) this must be completed and signed by treating physician. A copy of all relevant X-Rays / Lab Test and reports. These should show name and the date they were taken. A copy of Attending Physician’s Statement (APS) or the medical report detailing the nature and date of the accident. Regular medical reports providing status on the disability (if eligible for waved premium benefit). In certain cases, they may also need attend a medical examination or provide more details requested through a doctor or a medical committee. If this applies in case, they will let know. A copy of the Police Report (if your claim relates to an accident). Hospitalization and you hold In Hospital Income, Rock, Medcash (IHI & Surgical) Policy. A detailed medical report. This must be completed and signed treating physician. A copy of their Attending. Physician’s Statement (APS) or a medical report detailing the nature and date of the onset of the ailment / accident as well as the nature of the surgery. A certified copy of their hospital bill or a discharge summary to determine the number of days spent in hospital. In certain cases, they may request a copy of all the relevant medical reports. These should show name and the date they were written. A notification of the death of the policyholder. This must include the full name of the Insured (including father’s name), policy number, date of death, cause of death, and any other information that may be relevant to this claim, for example, names of hospitals and doctors involved. Claimant’s Statement (Form CL-39). Each beneficiary should complete a separate claimant’s statement. In the case of minor beneficiaries, the guardian must sign the claimant’s statement on their behalf. Each form must be notarized by a Notary Public or signed in front of the Alico Claims Manager. Claim form CL-40. This form should be completed by the Physician who treated the insured during their last illness. A detailed medical report related to this claim. A copy of the passport of the deceased and copies of passports or ID Cards of the beneficiaries. The original Death Certificate. The Original Guardianship / Tutorship Certificate issued by court and specifying the powers given to the guardian or tutor whenever there are minors among the beneficiaries. The claim can only be paid to the guardian or tutor entitled by law or order of court to “cash proceeds and give valid discharge”. The Original Succession Certificate. This is required in cases where the names of the beneficiaries are not specified or when beneficiaries are mentioned as “legal heirs”. The Original Policy Document. The Terms and Conditions, after the death of the Insured, state that the contract terminates and policy contract must be returned to us. A copy of the Police Report (if death was a result of accident or murder or whenever a report is made specifically in connection with a certain death). the deceased’s contract was ended by the company. A Salary slip showing the last monthly basic salary drawn by late Insured. In certain cases, we may contact the beneficiaries and request further documents. An In-Hospital claim form that must be completed and signed by customer. A copy of their detailed medical report. A copy of passport showing dates of exit and entry (if the incident occurred outside country of residence). Customer original bills and receipts related to this claim. A copy of the Police report, if applicable. A copy of all relevant X-Rays / MRI/CT and reports. These should show your name and the date they were taken. Repatriation of Remains Claimant’s Statement (Form CL-39). Each beneficiary should complete a separate claimant’s statement. Claim form CL-40. This form should be completed by the Physician who treated the Insured during their last illness. A detailed medical report related to this claim. The Original Death Certificate. A copy of the passport of the deceased and copies of passports or ID Cards of the beneficiaries. The Original bills / receipts related to this claim. A Claim form completed and signed by customer. Confirmation from the Airline showing that their scheduled flight was cancelled or delayed for 6 hours or more. The ticket must be fully paid, confirmed and booked to travel. Customer itemized list along with original bills and receipts for the emergency purchases of meals, refreshments, hotel expenses and airport transfer expenses for each delay. A copy of air ticket, A copy of passport showing dates of exit and entry. In-Patient/Medical Reimbursement claim form Part “A” completed and signed by customer. Details of the damage caused and any supporting documents. The Police report related to this claim. Please make sure that all the documents related to their claim are written in either English or Arabic. If any documents are in another language – if they had an accident overseas, for example – they should be translated by an official public translator before send them to customer. To help all process their claim as quickly as possible, they ask follow the above steps carefully. Otherwise their claim could be delayed or potentially rejected. In certain cases, they may also need attend a medical examination before can complete their claim. If this applies in their case, they will let know. After a Claim is paid, it is very important that within 15 days they and their beneficiaries return the claim receipt, as they are legally required to store this document in their records. Here is latest list of approved medical providers in the Bangladesh, UAE, Kuwait, Oman, Bahrain and Qatar. Approved medical providers, Approved pharmacies. If missed a payment and are worried about policy being invalid contact us as soon as possible. In most cases they can simply re-activate plan, with no loss of cover. Alico want to make sure that always have the right protection for their circumstances. If things change – for example, they may start a family, move jobs or emigrate – this could seriously affect the amount or type of protection need. So if anything changes, just call us on (8802) 716 0025, so can make sure we’re still receiving the right level of protection. Option of Surrendering the Policy or obtaining Policy loans On completion of 3 years from commencement of Policy, Alico are entitled to get a loan from savings in order to deal with an extraordinary personal or family need. ALICO agent will advise if they need to exercise that right. The premiums paid each year will be deducted from taxable income in accordance with legislation applicable from time to time. Currently they may get a tax return of up to €480 by taking advantage of favorable legislative provisions. Taking advantage of the high returns achieved by ALICO on behalf from the proper investment of Mathematical Reserves, in conjunction with the I.B., they have secured an effective “tool” in dealing with inflationary pressures. Most of the times, it is not required to undergo medical examinations in order to join the ALICO Pension plan. But even if it is deemed necessary under the terms and conditions of the Policy, it is a simple and costless procedure. They have the right to transfer their” ALICO Pension” policy to any of more than 50 countries in the world in which there are ALICO branches. If you have chosen to opt for a Monthly Pension for Life, then get a proportional share of the Proceeds of the Interest Benefit of the investment of Mathematical Reserves for the period in which receive such payments. They may ask that this money be paid in cash at the end of each year or may use them to increase Mathematical Reserves and therefore future monthly pension. Bangladesh Garment Manufacturers and Exporters Association on Monday 1996 signed a deal with American Life Insurance Company for life insurance coverage of the workers of the apparel factories. Earlier, the BGMEA was under an agreement with the state-owned Jiban Bima Corporation for insurance coverage of the workers. It lost the business for demanding new agreement with increased rate of premium per factory which was Tk9500 under the previous deal. ALICO won the insurance deal agreeing that it would receive a yearly premium of Tk 9500 from the owners of each apparel factories for life insurance coverage of the workers and pay Tk 100 per factory to the BGMEA for the service in collecting the premiums from its members. Under the deal, the insurance company will meet up to 20 claims of a factory per year and pay Tk 100,000 for the death of a working laborer of a policy-holding factory. The same amount of payment will be made to a worker for the loss of one leg and one hand. The worker will get Tk 50,000 for the loss of his or her one leg or one hand and Tk 25,000 for the loss of fingers. Since 2002, the insurer JBC met more than 400 claims against 550, BGMEA sources said. Nearly 4,000 apparel factories of the country employ over two million workers, majority of them are women. Of the factories, 2050 units are members of the BGMEA. Citibank, NA Bangladesh embarked on a new initiative and launched a lockbox for collection of Alico insurance premium from the valuable customers of Alico Bangladesh. Md Nurul Islam, regional senior vice president for Alico Middle East, Africa and South Asia-East (Measa-East), and Mamun Rashid, Citigroup country officer, Bangladesh, jointly inaugurated the Citibank lockbox machine through a launching ceremony held on Monday 1996 at Alico head office in Dhaka. Ala Uddin Ahmad, financial controller of Alico Bangladesh and Nepal, Khondoker Rashed Maqsood, Citigroup head of Global Transactions Services, Mahbubur Rahman, Citigroup head of Financial Institutions, among other senior officials from both the institutions, were present on the occasion. The lockbox machine will be operating from 3 premises at Alico and two other branches of Citibank for greater customer convenience. Citibank had introduced this to help expedite and simplify Alico premium collection through the lockbox machine. ALICO AIG Life offers this dynamic network of health care providers to its insured customers who are already covered by an Individual or a Group in – hospital Coverage at no extra charge. Through its privileged rates, ALICO BENEFIT CLUB actually broadens the limits of the insurance coverage, while at the same time it provides easy access to a range of medical care services. Serves its members on a 24-hour basis via a specialized Call Centre, providing medical advice or information and co-ordinating any medical services required. Provides its members with the possibility of using a wide network of physicians of all specialties. Furthermore, it provides them with access to medical diagnostic examinations networks of well-known Diagnostic Centres, at special rates. Finally, for any medical attendance need, ALICO BENEFIT CLUB members have access to high quality services at any of the collaborating private hospitals, under privileged terms and special benefits. Thus, thanks to ALICO BENEFIT CLUB, the Company’s insured’s can maximise their insurance benefits and receive immediate attention, saving time and effort when it is needed most. ALICO BENEFIT CLUB services are coordinated by a specialised Call Centre which is available 24 hours a day, 365 days a year, and may provide assistance regarding any health related situation, ranging from the provision of information about pharmacies that are open all night in your area, to guiding your admittance to a collaborating hospital. American Life Insurance Company (ALICO), incorporated in Delaware U.S.A., is one of the largest international life insurance companies in the world, and operates in over 50 countries encompassing Japan, Europe, the Middle East, Latin America and the Caribbean. ALICO branches and subsidiaries market a wide range of life and health products. These products include traditional life insurance, supplemental medical and personal accident products, health and hospitalization insurance, group life, pensions, and annuities. As of June 30, 2008 premiums and deposits were in excess of $18 billion and assets exceeded $100 billion. Insurance policies issued by ALICO or its subsidiaries are direct obligations of our regulated insurance companies, not AIG directly. ALICO and its subsidiaries are regulated by the local insurance supervisory authorities in each country. These companies satisfy or exceed local regulatory capital requirements. They are working closely with regulators worldwide to demonstrate financial stability and commitment to their policyholders. As the global financial markets experience unprecedented turmoil, ALICO and its subsidiaries reaffirm their financial strength and commitment to their policyholders, distribution partners, and regulators. American International Group, Inc. (AIG), a world leader in insurance and financial services, is the leading international insurance organization with operations in more than 130 countries and jurisdictions. AIG companies serve commercial, institutional and individual customers through the most extensive worldwide property-casualty and life insurance networks of any insurer. In addition, AIG companies are leading providers of retirement services, financial services and asset management around the world. AIG’s common stock is listed on the New York Stock Exchange. American Life Insurance Company (ALICO), a subsidiary of American International Group, Inc. (AIG), is one of the largest international life insurance companies in the world. ALICO’s branches and subsidiaries market a wide range of life and health insurance products, including traditional, variable universal and credit life insurance, as well as supplemental medical and personal accident products, health and hospitalization insurance, group life, pensions and annuities through a variety of channels. The company operates in more than 55 countries and regions around the world including Bangladesh, Japan, Europe, the Middle East, South Asia, Latin America and the Caribbean. Insurance companies are evaluated on the basis of their steady performance in time and their financial strength. ALICO AIG Life constantly exemplifies the significance of financial strength and productivity indexes that underline its reliability, always serving the real interests of its insured. ALICO AIG Life has a unique know-how and enormous international experience that allow it to preserve its innovative character, constituting a criterion of values. One of the basic competitive advantages of ALICO AIG Life Greece is its effectiveness in managing its financial resources and that is one of the reasons why it’s insured reward the company with their trust. For many years now, ALICO AIG Life has been a leader among International Life insurance companies in Greece. According to the most recent Balance Sheet data (2006), its Total Assets amount to 1.225 billion Euros, while Total Income exceeds 290 million Euros. Total Assets: 1.225 billion Euros. Total Income: 290 million Euros. The amount of ALICO’s Total Assets that exceed 5.7 billion dollars, is one more evidence of its financial robustness, which means that it’s insured may feel even more secure. Every year ALICO AIG Life Bangladesh achieves high Yield (Profit/Premium), which is a further indicator of the Company’s healthy financial position, thus offering increased assurance to its insured. ALICO AIG Life Bangladesh profitability, combined with the other financial indexes of the Company, constitute clear indicators of its financial robustness and underline its reliability. NEW YORK, March 2, 2009 – American International Group, Inc. (AIG) and American Life Insurance Company (ALICO) announced a broad set of actions, taken in cooperation with the U.S. Department of the Treasury (U.S. Treasury) and the Federal Reserve, to improve AIG’s capital structure, protect and enhance the value of its key businesses, and position these franchises for the future as more independently run, transparent companies. AIG intends to contribute the equity of ALICO and AIA into special purpose vehicles (SPVs) in exchange for preferred and common interests in the SPVs. This will enable the Federal Reserve Bank of New York (FRBNY) (or a trust for the benefit of the FRBNY) to receive preferred interests in repayment of a portion of the FRBNY facility. The amount of the preferred interests will be a percentage of the fair market value of ALICO and AIA based on valuations acceptable to the FRBNY. AIG will continue to hold the common interests in the SPVs. These transactions will reduce AIG’s debt and interest carrying costs, while allowing AIG to continue to benefit from its ongoing common interests in the SPVs. Until subsequent divestment, ALICO will remain a wholly owned subsidiary of AIG, consolidated in AIG’s reported financial statements. “The ultimate success of our restructuring plan centers on ensuring that the unique businesses that make up AIG can thrive on their own. While this process may take up to several years to complete, we will ultimately create stronger, sounder businesses worthy of investor, customer, and regulatory confidence. We greatly appreciate the continued cooperation and support of our customers, business partners, the U.S. government and regulators around the world”. It should be noted that information contained in this press release or remarks made on the conference call may include projections and statements which may constitute “forward-looking statements” within the meaning of the Private Securities Litigation Reform Act of 1995. These projections and statements are not historical facts but instead represent only AIG’s belief regarding future events, many of which, by their nature, are inherently uncertain and outside AIG’s control. American International Group, Inc. (AIG), a world leader in insurance and financial services, is the leading international insurance organization with operations in more than 130 countries and jurisdictions. AIG companies serve commercial, institutional and individual customers through the most extensive worldwide property-casualty and life insurance networks of any insurer. In addition, AIG companies are leading providers of retirement services, financial services and asset management around the world. AIG’s common stock is listed on the New York Stock Exchange, as well as the stock exchanges in Ireland and Tokyo. SWOT analysis is the detailed study of an organization’s exposure and potential in perspective of its strength, weakness, opportunity, and threat. This facilitates the organization to make their existing line of performance and also foresee the future to improve their performance in comparison to their competitors. As though this tool an organization can also study its current position, it can also be considered as an important tool for making changes in the strategic management of the organization. S= Strengths, W=Weakness, O=Opportunity, T=Threats. Here is the SWOT analysis of ALICO. ALICO AIG Life constantly exemplifies the significance of financial strength and productivity indexes that underline its reliability, always serving the real interests of its insured. ALICO AIG Life has a unique know-how and enormous international experience that allow it to preserve its innovative character, constituting a criterion of values. The eligibility criteria for a product may vary depending on the type of policy you want to buy. It’s a good idea to review the cover you have on regular basis, at least once a year. If things in your life are changing rapidly, you are getting married, moving home, expanding your business etc. Higher overall unit costs relative to other countries, Existing customers already lost, Power failures, higher operational costs, Bangladesh branches of ALICO have only two products. The products are Life Insurance, and Health Insurance. Communication problems: Most of the employee’s cannot communicate with people face to face because they cannot speak English properly. Employee’s problem: Most of the employee’s are unskilled. There are many under educated person in the organization. For that, they are not efficient to do their task. It increases the cost of production as well as more time is needed to finish a particular task. Problem in decision making: As it is a private limited company, the mid level employees cannot take any necessary decision without managing Director’s concern. Thus it takes more time to take any decision. Small production unit: Bangladesh branches of ALICO have only two products. The products are Life Insurance, and Health Insurance. First of all top management need to get an educated person who can speak in English and he can communicate with other easily. He must also be able to communicate effectively in his own language i.e. Bengali. The company should produce high quality product keep close contact with customer. The company should open Islamic Branches. Product price should be reduced for customer satisfaction. The company should increase number of agents, unit manager, and branch offices. Company should make aggressive marketing for its products. The company should give in advertisement of Newspaper, Television, etc. Decision making problems should be solved and reduced. Number of products may be increase in Bangladeshi market. ALICO is one of the largest international Life Insurance companies in the world, with a solid base in over 55 countries and regions including Japan, Bangladesh, Europe, the Middle East, South Asia, Latin America and the Caribbean. With such a multi-country, multi-cultural and multi-lifestyle need, we have become experts in providing life and health insurance products that suit many needs. Whilst we cover such a wide range of people with such diverse insurance requirements, we pride ourselves on our level of expertise and personal service. We have been providing quality life, accident and heath cover for over 85 years across the world. In the UAE we started our first operations in 1962 as the first company to be issued an insurance license and in the last 45 years, we have grown to serve over 100,000 customers.